The Digital Library of Georgia (DLG) is pleased to announce the availability of the Mike Maloney Collection of Out TV Atlanta Video Recordings at http://digitalcollections.library.gsu.edu/cdm/landingpage/collection/outtv. The collection, which contains about 240 digitized tapes of raw footage created in the process of making the show, belongs to Georgia State University Library’s Special Collections and Archives. It is available thanks in part to the DLG’s 2018 Competitive Digitization grant program, a funding opportunity intended to broaden DLG partner participation for statewide historic digitization projects. Ryan Roemerman, Executive Director of the LGBT Institute of the Center for Civil and Human Rights in Atlanta,states: “We believe that Mr. Maloney’s groundbreaking work is of immense historic value. As the dawn of the new millennium approached, Mr. Maloney and his reporters were capturing events and preserving the moments that allow us to dig deeper into the cultural and emotional landscape for LGBTQ people at that time. 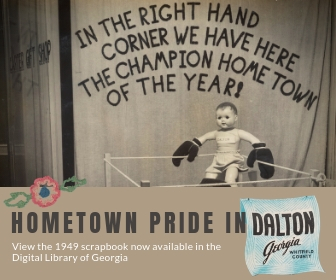 The potential for use, especially amongst Georgia State University students, can provide young LGBTQ people today with a better understanding of a bygone era. These historic video recordings can convey what written words cannot always do, and are sure to be utilized in even greater numbers as time passes on.” Roemerman played an important role in facilitating the acquisition of the videos, directing Mr. Maloney to donate to the GSU Library’s Gender & Sexuality Collections.